Want to add fun to your event? 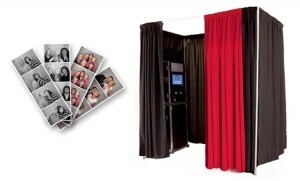 Then the Photo Booth is the way to do it aside from hiring a DJ from AMP DJ Services! With our Photo Booth packages you get props like boas, hats, glasses, and much more! We will even match your event theme with our props at no additional fee! You also get a custom made logo for the bottom of each photo booth strip as well your very own online password protected web gallery! This will allow you and your guests to log on to view, download, and print your pictures free of charge! To help you and your guests in and out of the booth, we also include and attendant who will be at your event throughout the entire duration. To book a Photo Booth today please contact us today!